Jean shows love for music and Haiti. 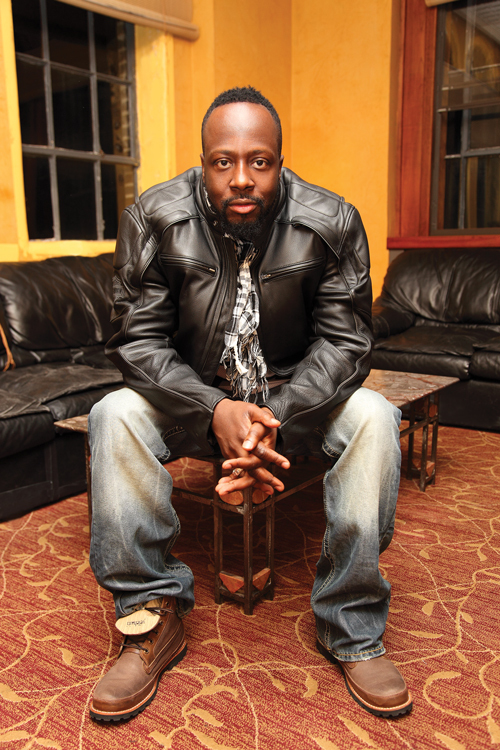 This week on Our World with Black Enterprise, host Marc Lamont Hill sits down with singer, songwriter, producer and activist Wyclef Jean about his musical legacy and his brief run for the presidency of Haiti in 2010. Jean shares his artistic evolution since his groundbreaking work as a member of The Fugees with Lauryn Hill and Pras Michel. He also shares his passion for activism, particularly on behalf of his beloved but troubled home country of Haiti, which is still struggling with economic and political challenges, as well as the destructive impact of last year’s devastating earthquake. Growing up in Croix-de-Bouquets, Haiti, until the age of 9, Jean’s music often sheds light on what it was like living on the poverty-stricken and war-torn island. 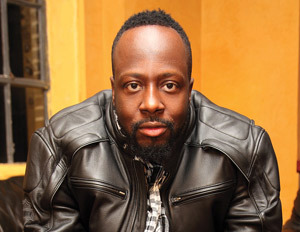 His eclectic sound and pensive lyrics have helped raise awareness about the impoverished Caribbean nation, while inspiring hope among its youth. The artist has reaped numerous top 10 albums and singles for both his collaborative and solo works while selling more than 50 million albums worldwide. “I sat with Harry Belafonte, who is one of my mentors, and I told him that I wanted to do something for Haiti,” Jean explained in an interview with Black Enterprise last year, “but I didn’t know the best way to go about it. He said you can either sing about it or you can physically go back and make a difference. In 1994 I started the Wyclef Jean Foundation and Clef Kids. In 2005 I founded the YÃ©le Haiti Foundation. It’s an art school that will consist of a gymnasium, Internet cafÃ©, and student exchange program. When people are asking who is the next artist coming out, the next soccer player, or the next mathematician, I want them to be able to look at the YÃ©le Center. Dr. Releford fights for the health of black men. 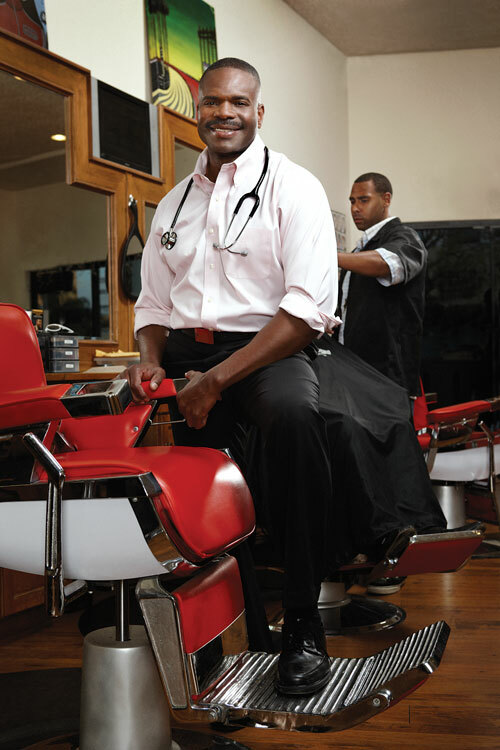 Also, in this week’s Slice of Life segment, we profile Dr. Bill Releford, also known as “The Barbershop Doctor,” and his campaign to help Black men fight diabetes and hypertension. Many Black men will go years before scheduling a doctor’s appointment, but won’t let a few weeks pass without a visit to the barber. That may sound like a bad joke, but in the experience of Releford, it’s the sad reality that prodded him to create the Black Barbershop Health Outreach Program in December 2007. The program conducts health screenings at urban barbershops for Black men who are waiting to get a hair cut. “Historically, Black-owned barbershops are a place where African American men have always felt comfortable. It’s the only place where you’ll see the whole spectrum of the Black socioeconomic strata,â€ says Releford, a podiatric surgeon dedicated to reducing diabetes-related amputations. Our World with Black Enterprise is the award-winning weekly 30-minute program, hosted by Marc Lamont Hill, providing a fresh mix of interviews with today’s top newsmakers and celebrities, eclectic roundtable discussions concerning the hottest topics affecting African Americans, and profiles of some of the world’s most intriguing people. Click here for times and stations where Our World with Black Enterprise airs in your area.